Last year I was contacted by two veterans of the publishing business with an idea for a new online magazine called “Frugalbits“. It would be a daily publication in which readers would find deals and ideas on how to be more frugal – a virtue I think we all wish we had more of. They were looking for a highly customizeable web solution for the site and had realized that the answer might be WordPress. Smart ladies. But. After a beta launch one of the editors brought up a point I never considered: The first entry of the carousel would always be the same as the story on the front page. And since the front page only had one story this was to put it midly somewhat redundant. Fortunately WordPress has an answer for this type of situation: offset. An explanation: The carousel is populated using the standard query_posts() function. By using the offset variable in conjuction with posts_per_page I can define how many posts the query should “skip” before starting the list. And since I just wanted to skip the first (front page) post, that value should be 1. Problem solved. One of the most important features of the Frugalbits site is actually something you hardly notice: The custom templates. Depending on where you are in the site the layout changes subtly. The front page features the carousel, the single post pages have the optional author box, the category pages have only the right sidebar and show thumbnails for each story and the legal pages have an entirely different sidebar from the rest. To top it off the F Spot category has an entirely separate tempalte that looks nothing like the other ones. All this is done by using conditional statements and creating custom theme files for individual pages and categories. Now that it’s launched I’m looking forward to hearing what people have to say about Frugalbits and it’s functions. 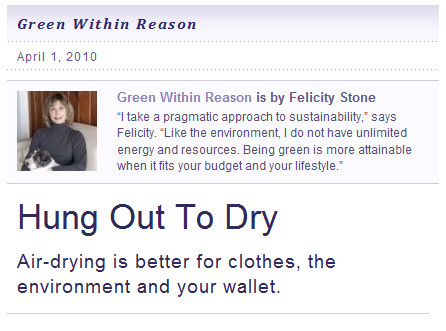 Feel free to leave your questions and comments below and please visit the site and learn how to be frugal yourself! And ohyeah, kind of curious about the carousel you found..? which one is it 😀 ??? The ordinary principle here is to present users the basics of how to update their web sites and sustain a CMS web site on a day to day basis. Things like installation, pattern of the navigation user interface, code optimization etc are all really a lot more advanced and typically require days or weeks instead than minutes to arrange properly. its a cool theme. Do you sell this theme ? Sorry Sam. 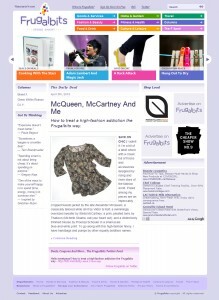 The Frugalbits site is a custom client project.